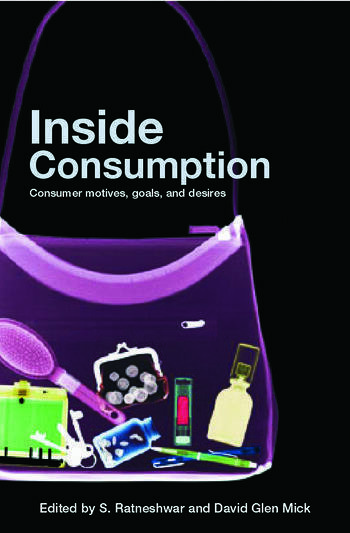 Following on from The Why of Consumption, this book examines motivational factors in diverse consumption behaviours. In a world where consumption has become the defining phenomenon of human life and society, it addresses the effects of critical life events on consumption motives, and the sociological and intergenerational influences on consumer motives and preferences. Its cross-disciplinary approach brings together some of the leading scholars from diverse subject areas to examine the central question about consumption: ‘why?’. This is a unique and invaluable contribution to the area, and an essential asset for all those involved in researching, teaching or studying consumption and consumer behaviour. S. Ratneshwar holds the Bailey K. Howard World Book Chair of Marketing and is also the Chair of the Marketing Department at the College of Business, University of Missouri (Columbia). His articles have been published widely and he currently serves on the editorial boards of the Journal of Consumer Research, Journal of the Academy of Marketing Science, and Journal of Interactive Marketing. David Glen Mick is the Robert Hill Carter Professor of Marketing, at the McIntire School of Commerce, University of Virginia. His research has appeared in numerous journals and he currently serves on the editorial review boards of the Journal of Consumer Research, Journal of Consumer Psychology, and the Journal of Marketing. He has served as Editor of the Journal of Consumer Research and recently as President (2005) of the Association for Consumer Research.